We’re going to try using Zendesk’s Help Center feature to manage our help articles. The feature essentially provides a simple CMS for providing support for our fantastic users. If you go to Bushel.com, there is now a link in the header called “Support”. It takes you to support.bushel.com. 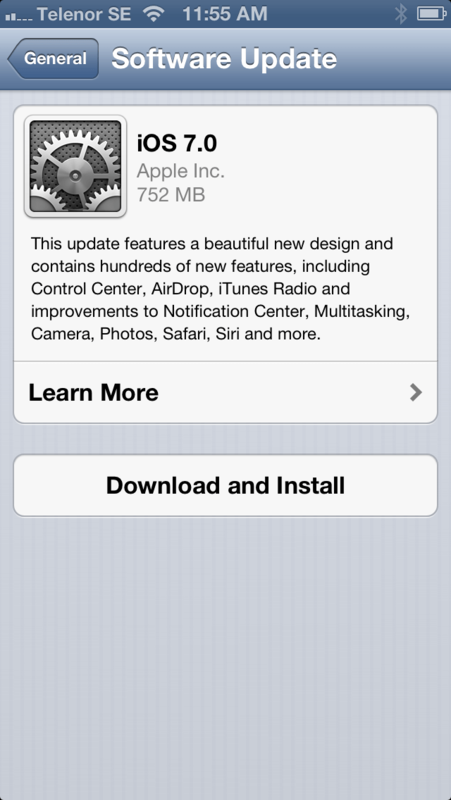 Upgrade to iOS 7 from an iOS Device. Most of my readers have already upgraded from iOS 6 to iOS 7. But, you might need to write some technical documentation on how to do so for your end users. If you find yourself in such a situation, you can just cut-copy-paste this article into your own documentation. Preflight First, backup the device. When I did this upgrade I was flying without a net and didn’t bother to back the device I was upgrading up. Having said that, I also don’t keep any data on my device, so I would strongly recommend backing up before you do your upgrade if you do have content you want to make sure your preserve. The upgrade doesn’t erase your data; however, whenever you’re doing a major update, it’s a good idea to backup (it’s also a good idea to backup when you’re not doing a major update). 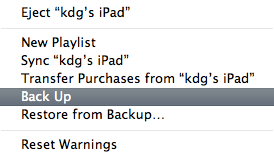 If you need to backup, check out this article on manually backing up with iTunes. Most will also want to go ahead and update to iTunes 11.1. 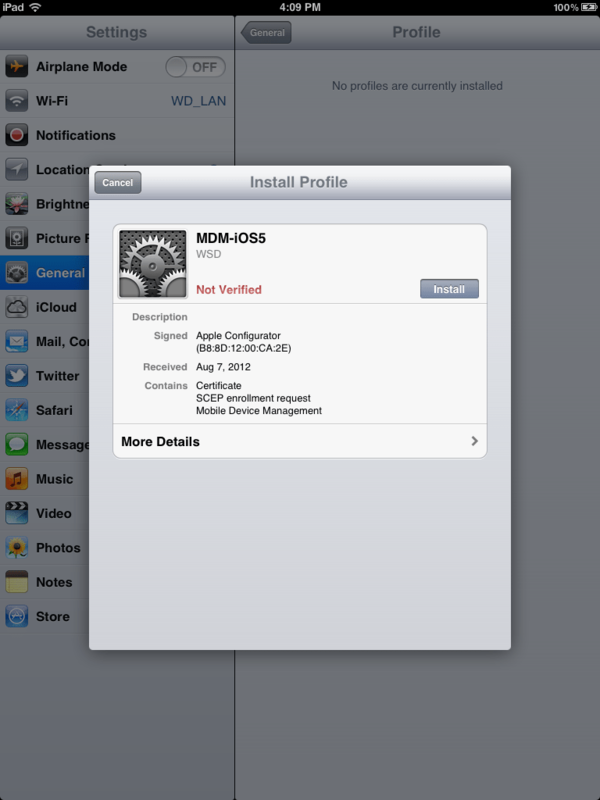 This will allow the device to work once it’s been upgraded. Finally, before you get started, connect your device to a power source as you wouldn’t want the device to possibly die due to a power failure in the middle of running the update. Installation Once you’ve backed up, open the Settings app on the device. From within the Settings app, tap on General to open the General pane of the Settings app.. From the General pane of the Settings app, tap on Software Update. 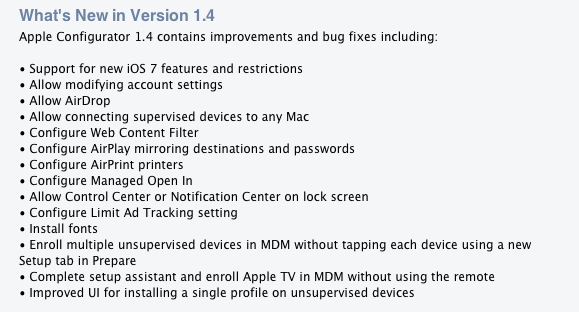 From the Software Update screen tap on Download and Install to start the installation, or let’s tap on Learn More to see what’s in the update. At the Learn More screen, you’ll see the release note for the software. 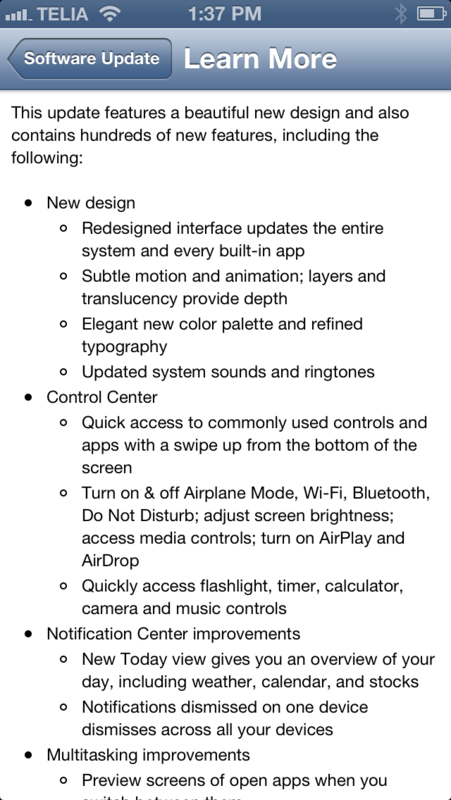 This is a major OS update, so there are pages and pages of notes about what this update is for. Provided you’re happy with these updates, tap on Software Update at the top of the screen to go back to the Software Update screen and tap on Download and Install to begin the installation process. 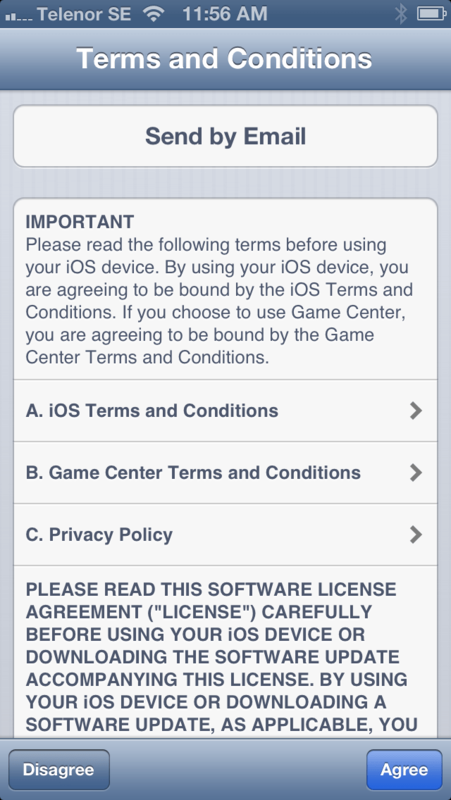 From the Terms and Conditions page, tap on Agree to accept the license agreement (obviously provided that you do) and the update will run. This is going to take awhile. 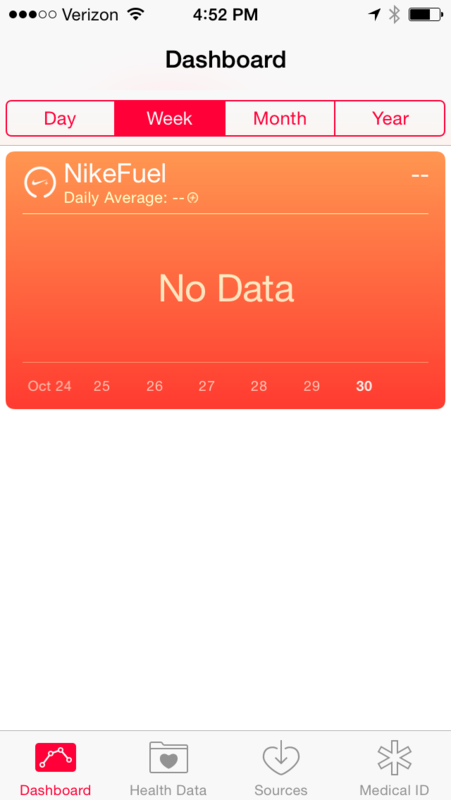 You can use the device while the update is running (it will even keep the state of Safari browsing once restarted). The device will restart automatically once updated. Now that you’re done with the upgrade, go ahead and back the device up again in iTunes and start exploring some of the awesome new features. 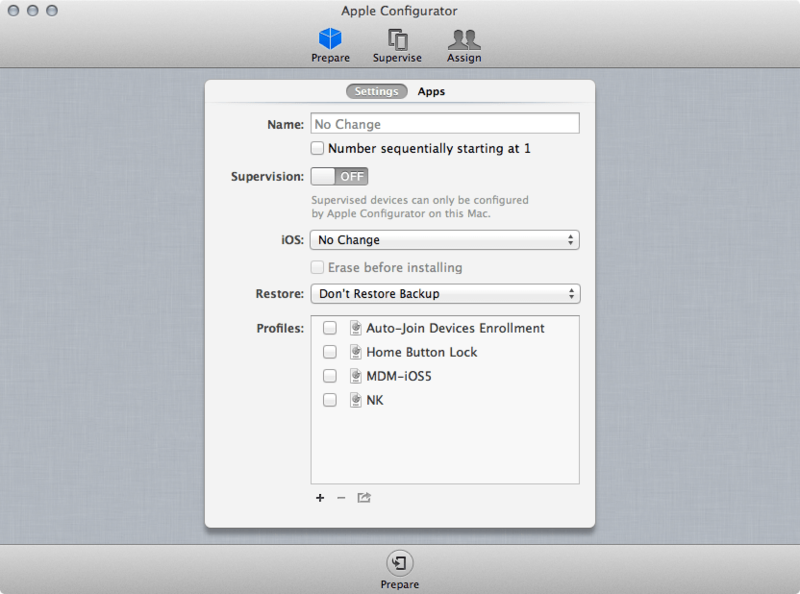 Note for Apple Configurator users, in order to get the power of iOS 7 you’ll need to update to Apple Configurator 1.4, available on the App store as of today. The release notes for it: Good luck! 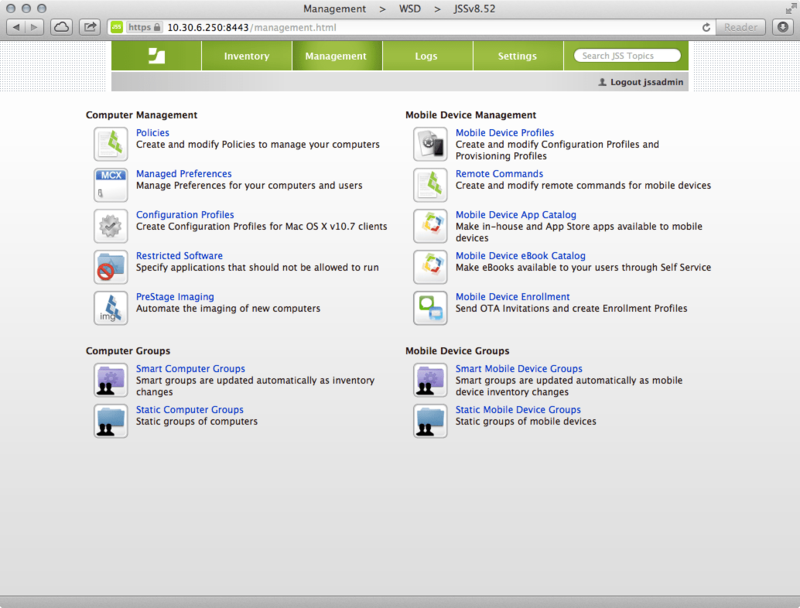 SimpleMDM has updated their Mobile Device Management solution (my original writeup is here) to now include the ability to manage apps. 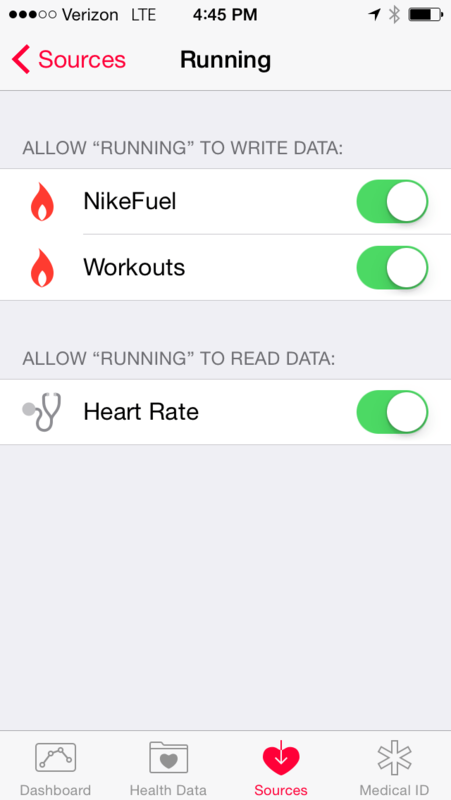 The apps functionality really comes in two flavors. The first is the ability to load up an app. This is handled handed by clicking on Settings in the right hand navigation bar and then at the Settings pop-over, clicking on Apps. 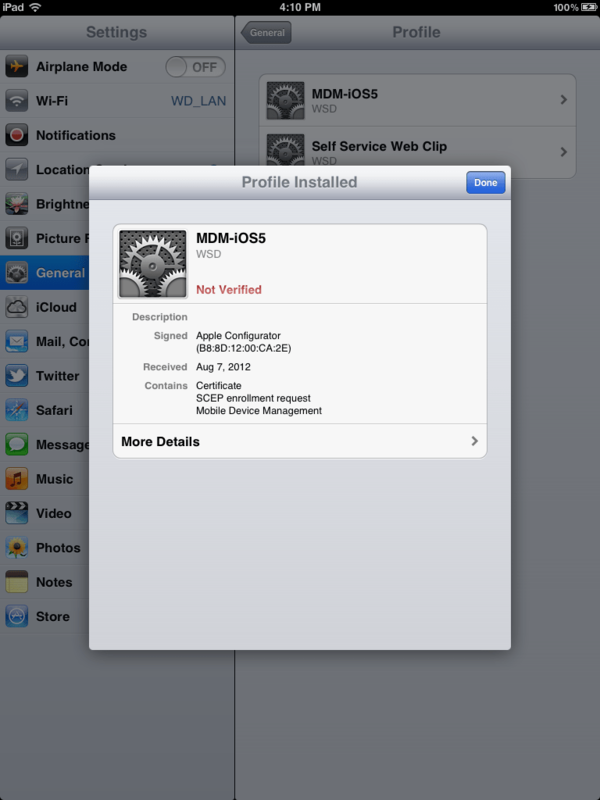 Here, you can load up an internal, enterprise app or an App Store app. 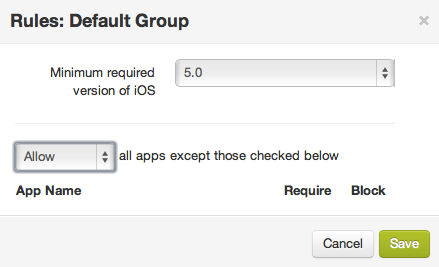 Once you’ve loaded an app you can deploy it to devices by clicking on a group and then using the contextual menu to “Assign Apps.” Simple, as the name implies. 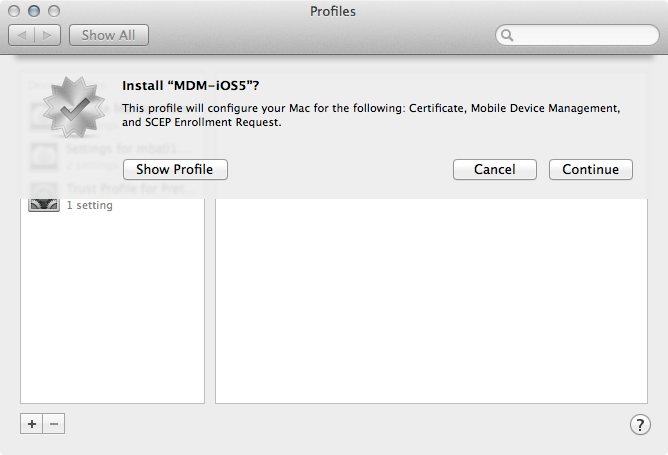 The second aspect of SimpleMDM is to white and blacklist apps. Doing so is done by clicking on the contextual menu and then clicking on Rules. 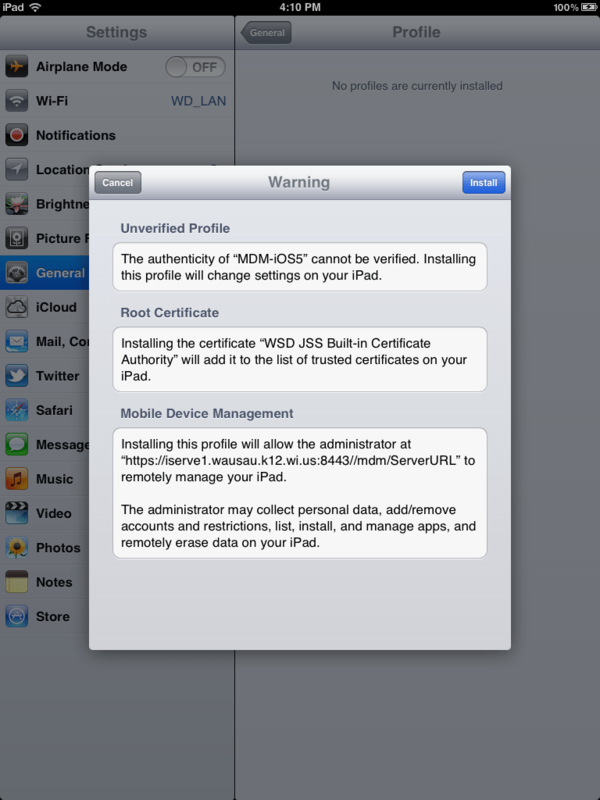 Here, you can Allow or Disallow any app that has been loaded into the app catalog. Deliver essential business apps to your employees with the Volume Purchase Program, now available in Australia, Canada, France, Italy, Germany, Japan, New Zealand, Spain, the UK, and the US. 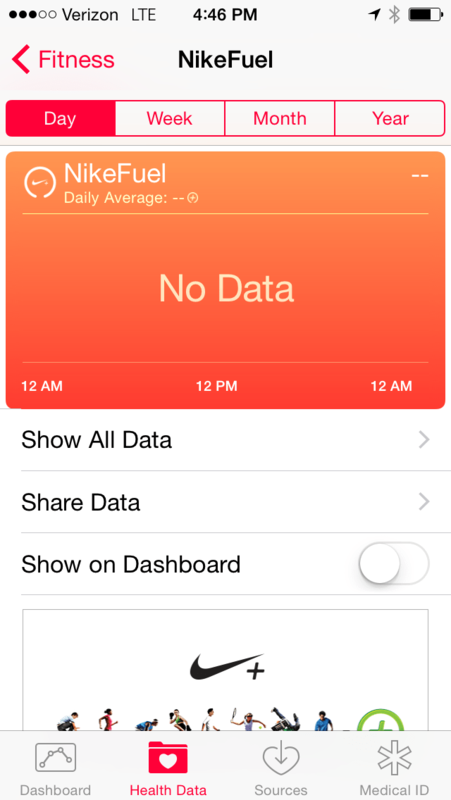 VPP makes it easy to purchase iOS apps in any quantity and distribute them to your users. You can also have custom apps built for your company’s unique needs. Search thousands of useful apps, specify any quantity, and use a corporate credit card to complete your purchase. Download the updated VPP Guide for details. 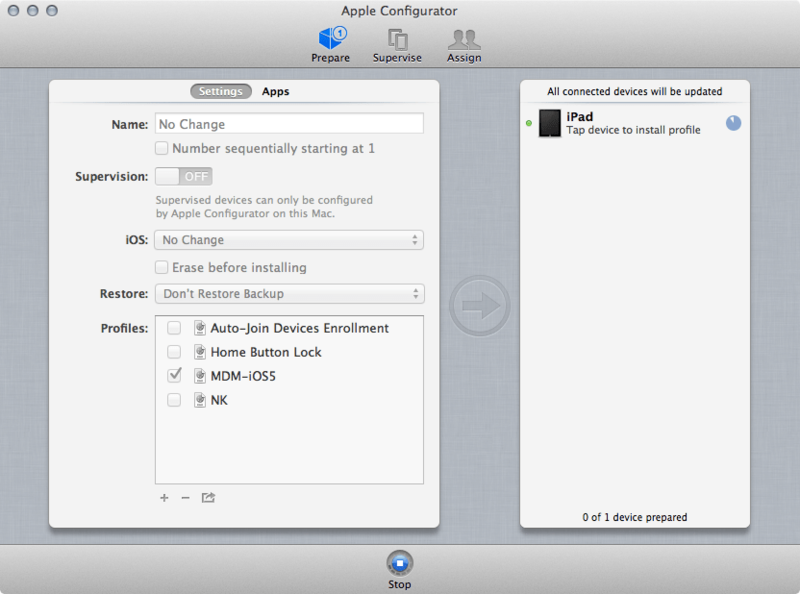 Open iTunes and dock the device with the master configuration. At the Set Password screen, provide a password for the encrypted backup. In order to ease restore, check the box for “Remember this password in my keychain (passwords are set to user names). 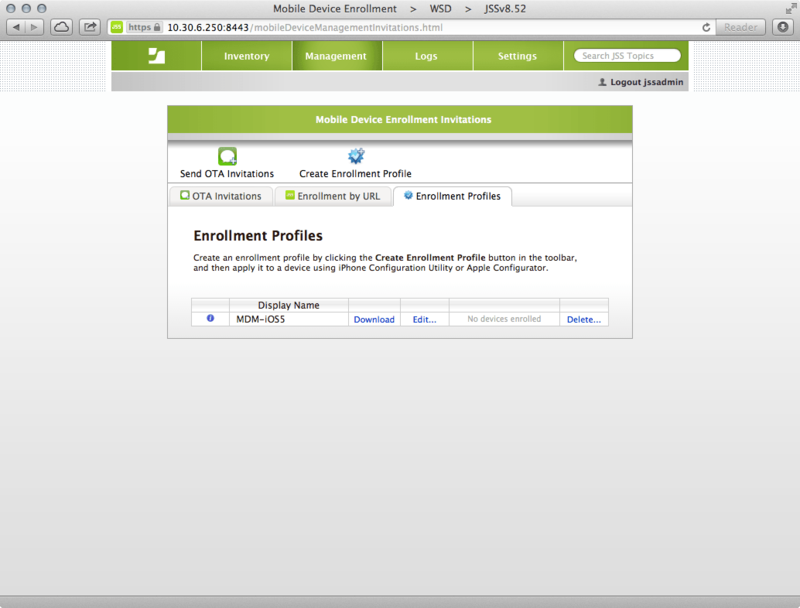 Control-click on the name of the device in the DEVICES section. 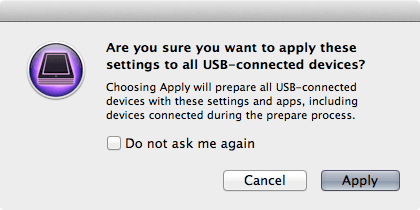 If prompted, click Set Password (subsequent backups will not require passwords). Open iTunes and dock the device to be restored. At the “Restore From Backup” screen, select the name used in the previous backup. 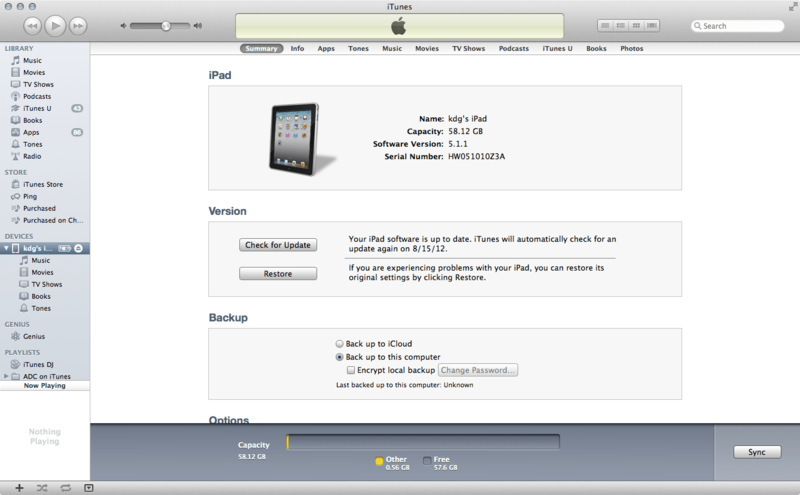 Rename the iPad once the restore process is complete. Apple Configurator 1.1 was released on Monday. 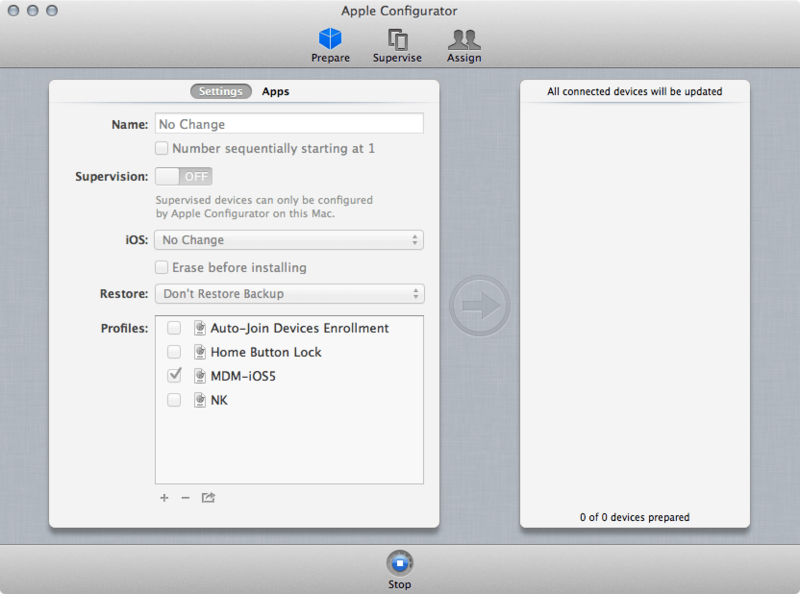 Configurator is updated through the App Store. 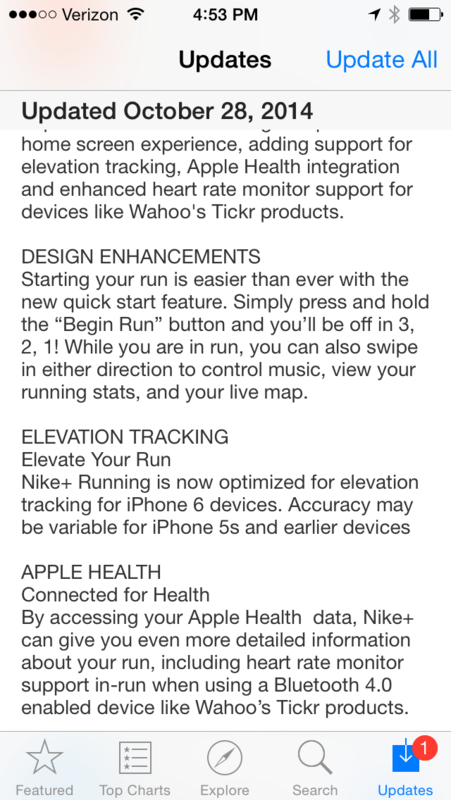 It comes with a few new features, indicated on the App Store download page. My favorite part is probably that rather than let me do stupid things (which I am apt to do) I now get a screen warning me that I’m doing something stupid if Configurator doesn’t complete a sanity check against one of the profiles: Overall, the two updates that we’ve gotten to Configurator have been minor. The features and options, which make up the strategies that you deploy Configurator with, have remained pretty much the same. I look forward to seeing continued updates.